Cherry and Spoon recommends Four Humors' "thoughtfully ridiculous" THE LAST DAYS OF COMMODUS, based on the true story of Rome's worst emperor. Playing at Strike Theater in Northeast Minneapolis. TCTB Review Roundup: Closing Soon! Below is a nice round up of some shows that are all closing this weekend that our reviewers saw! The show "Evita" recently celebrated its 40th anniversary which makes it the perfect choice to produce for Lyric Arts current season. 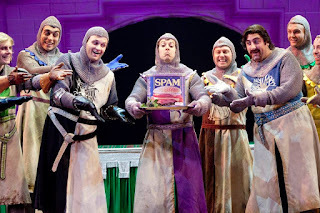 Two of our bloggers even said it was one of their best productions they've ever produced. Read what they said and get your tickets soon as this show closes on April 14. Get your tickets quick to these blogger-recommended shows! Thank you for listening to us and seeing the amazing Roe at Mixed Blood Theatre Company. 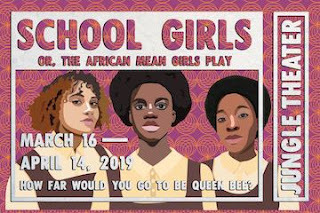 Now, we're going to need you to go see the funny and thought-provoking School Girls, Or The African Mean Girls Play at The Jungle Theater (through April 14). Our bloggers will tell you ALL about it. 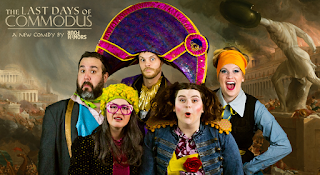 Compendium - Minneapolis: "It's a play that is as entertaining as it is heartbreaking, showing the evil underbelly of our world just as it details the side splitting moments of joy we cling to through the madness." 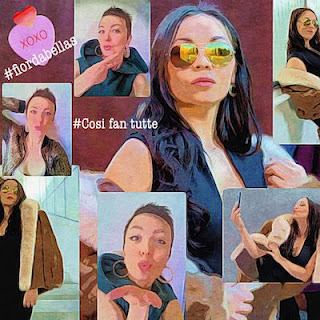 Check out all the love for Cosi fan tutte Skylark Opera Theatre. Just three performances remain (March 29-31), so don't miss this utterly delightful reimagined version of the Mozart classic!